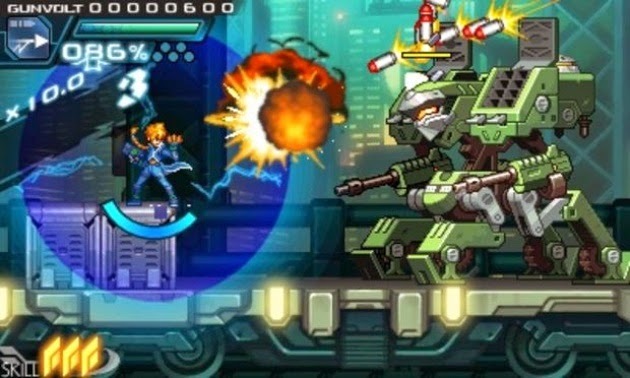 The much-anticipated Azure Striker Gunvolt has come to the 3DS eShop for $14.99. A reasonable price for such a polished title for sure, but there's more: Those who buy the game between now and Nov 28 will also be able to download Mighty Gunvolt for free, a NES-style title harkening back to the classic Mega Man games, featuring characters from Gunvolt as well as Beck from Mighty No. 9. Mighty Gunvolt will be released as a standalone download on 12/1.